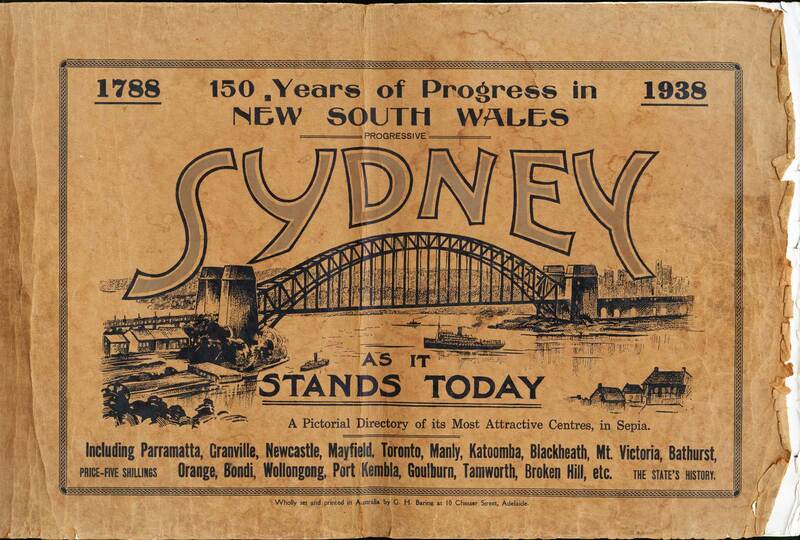 University of Newcastle Archivist Gionni Di Gravio explores a work entitled “Progressive Sydney as it stands today : a pictorial directory of its most attractive centres, in sepia” published in Adelaide by G.H. Baring, 1938. This unusual book was loaned to us by Mr Russell Rigby, our Coal River Working Party colleague, from his family’s collection, and contains some interesting streetscapes and individual business shop fronts in Newcastle prior to 1938 including advertisements for some of the businesses who paid for their place in the publication. 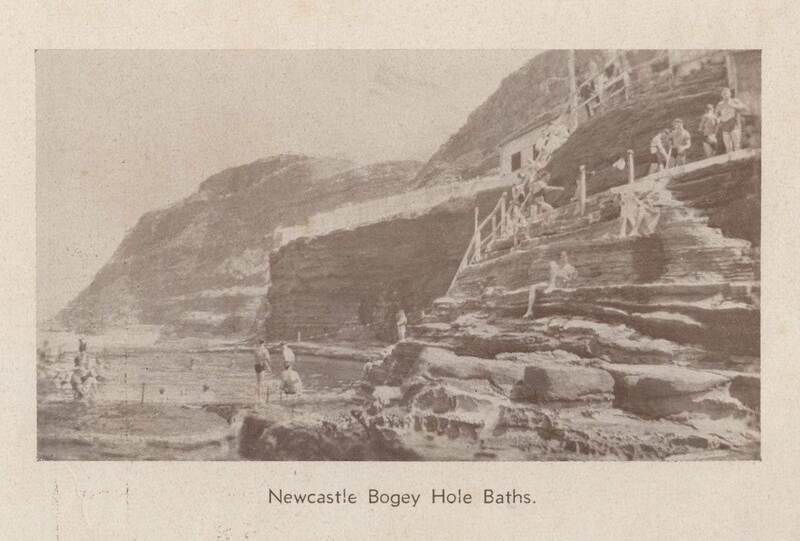 Some recreational sites such as the Bogey Hole are also featured. Newcastle is described as “The Big Industrial and Tourist Centre”, Mayfield, as “Popular Mayfield – Newcastle’s Leading Suburb” and Toronto as “Beautiful Lake Macquarie District – Toronto in its Beauty”. Those three places represent the Hunter Region in this book. There are some fantastic and exotic places mentioned, such as the Blue Room, and Mayfield’s Casino Inn Bar. We have digitised all relevant pages in large and smaller formats, as well as creating separate individual images of streetscapes and businesses as well. We thank Russell Rigby for bringing this interesting snapshot of the local business community to our attention. Thank you for putting the images up! They are wonderful! Just wish there were more from the very early 1920s.